Following on from Monday’s post and partly because the weather is raging outside and not really having a viable fishing option doesn’t half get the old grey cells racing - the subject of what kind of sound, if any, a surface lure makes, and I would suggest that even if we buy a “silent” surface lure and also because I don’t know what fish do or do not hear in comparison to us human beings, a lure that has split rings and hooks and splashes around on the surface is always going to be making some kind of noise or commotion regardless………. Are those ball bearings and the sound they make the key, or is it profile and how the lure works across the top? Anyway, as per that post from Monday, it was something my mate Mark said when we were out fishing the other day that’s got me rattling every single surface lure I can find here at home right up against my ear to try and get an idea of the different kinds of sounds they are making (are we talking about the pitch?). This has to be a blog post about that Whiplash Factory Spittin’ Wire lure again because that was the lure Mark and I were talking about, but please note that there are no affiliate links here concerned with that lure and there are of course loads of other surface lures out there that catch plenty of bass! In this day and age of regular people lashing out on social media before they would ever stoop to stop and think before doing so (when did the facts ever actually matter eh?! ), sadly I feel the need to lay this one out for you - I AM NOT TRYING TO GET YOU TO BUY THE SPITTIN’ WIRE SURFACE LURE! Hell, if I could afford it I would buy them all anyway. Anyway, back to the subject of sound, and then insert whatever lure into the discussion as you see fit. I was asking Mark why he thought that this innocuous looking and not very big surface lure had done so well for us this year, and he said something which I must admit I hadn’t thought of - for sure this Spittin’ Wire has a ball bearing that moves around and makes a distinct rattling sound when you either shake it or indeed work it along the surface (i.e. it’s not a “silent” surface lure), but Mark had come to a conclusion that it was the “density” or I think pitch of that rattling sound that was doing it so much for the bass when compared to other surface lures he has used. So we’re standing there on a rock on Sunday morning as dawn begins to make itself known, and I am obviously now carefully rattling my Spittin’ Wire right up against my ear to try and better understand what I am hearing. 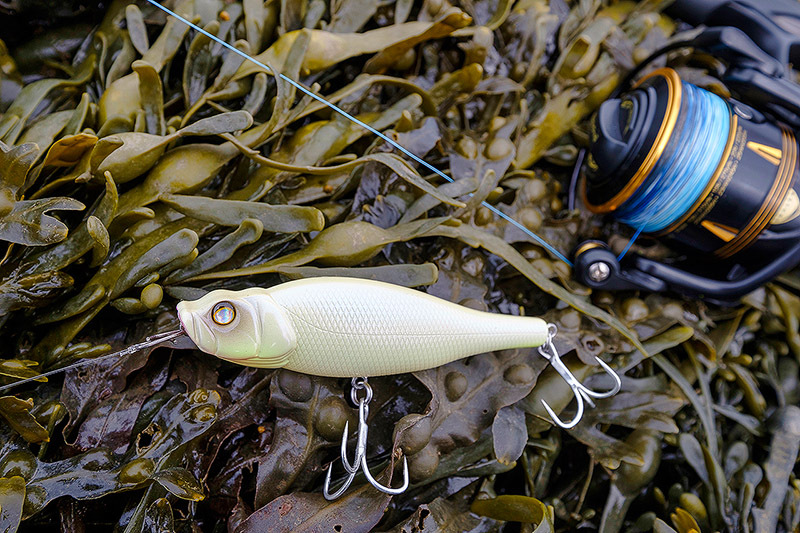 The only other surface lure I had in my lure box was the rather lovely Xorus Patchinko 125 and the differences in the sound were very obvious. You need to bear in mind here that my ears have been carefully trained over many years now to understand the subtle nuances in all manner of extreme metal music, and especially black metal and all its glorious sub-genres. So I reckon I’ve got pretty handy ears! Anyway, I get back home and I start my experiments as such - which consist of rooting around in various boxes to find a bunch of different surface lures, and then I sit here at my desk and I scientifically rattle them all up against my ear to see if I can hear any discernible differences. And I can, indeed all the surface lures I have here which are obviously designed to make some sort of rattling or clicking sound when you work them across the top all seem to be making a subtly different kind of sound. Now not for one second am I trying to tell you that these differences in sound make any kind of difference to your catch rates (do I need to put that in capitals?! ), but I do happen to find it really interesting how Mark has a theory about why the Spittin’ Wire has worked so well for us - and as per my post from Monday and not really being able to properly prove or disprove theories like this, who is to say that he hasn’t hit the nail on the head? Or is it profile and/or size and/or colour and/or quality of sound and so on? What I have found interesting after my very scientific sound experiments here at my desk is that a lure that has yet to do it for me - the Xorus Frosty (and yes, I know plenty of anglers who slay on it) - has a very high-pitched kind of sound from what I assume are a few very small ball bearings sitting in an internal chamber, whereas a surface lure that has seriously done it for me over the years - the IMA Salt Skimmer - has a correspondingly deep-pitched sound from what seems to be one single and larger ball bearing in its chamber. And so on. This Whiplash Factory Spittin’ Wire seems to have a fairly deep-pitched rattling sound that does seem to sound subtly different to any other surface lure I have got here, and it’s also interesting to note how another surface lure that I have started to really like this year - the Xorus Patchinko 125 - seems to have a sound that pitch wise sits between the Frosty and the Spittin’ Wire. And so on. Disclosure - if you buy anything using links found in this blog post or around my website, I may make a commission. It doesn’t cost you any more to buy via these affiliate links - and please feel entirely free not to do so of course - but it will help me to continue producing content. Thank you. 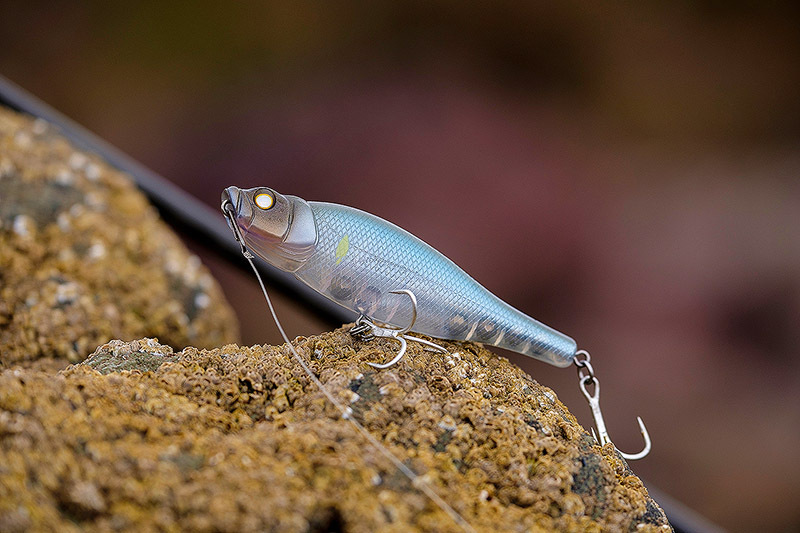 And please note that there are no links here to this Spittin’ Wire lure, but a little birdy tells me that the Art of Fishing do have a bunch of them in the shop but that they are not putting them on the website.